(12-18-2013, 01:25 AM)Asmodean Wrote: (For the small few who care) I did indeed say I would update the other two, with the improvements implemented into the Dolphin Version. I've been doing some work on PCSX2's shaders. It takes so long because; A: I can only work on it when I've got the time, and B: It takes quite a while longer to do things with so many constraints. About 75% of the time I spend when writing shaders for emus, is trying to find ways around problems getting effects to output as intended. I don't mean PCSX2 specifically here, I mean emulation in general. People generally aren't all that interested in emu post processing. This is typically part of the reasoning why there aren't any real post processing frameworks done for console emulation. Hence you get the same generic scaling filters you see for console emus with any post processing support, because trying to do more than this is quite the pain. I'll have to maybe try talk with KrossX or rama, If I do up a patch for using the vertex shader externally. I've done my best to keep everything done in the pixel shader, so I wouldn't have to be doing custom builds for my shaders. There are also some scaling issues that prevent me from doing effects based on the input res of a game. Such as some scaling filter types, and scanlines that won't shift about the place when altering the IR. edit: forgot to mention I've not been on my own system for about 2 weeks also. I didnt know PCSX2FX worked with GSDX software for epsxe with 4x it look just as good as petes opengl2 Minus the wierd lines in pre render backgrounds. I'm having issues, basically PCSX2 won't load any shaders of any kind, I check the program log and there's no sign of even attempting to load them. No difference seen, so I check the log and there's nothing there. I pressed PgUp and nothing happens. GSdx: fxaa is now disabled. GSdx: fxaa is now enabled. After two presses. When looking in-game there is no visible difference though, no sign that FXAA is turning on/off, nor of any other shader-ish things. It looks great all the work you've done on this and other emu shaders, really hoping to be able to play using it, so thanks for any help anyone can give! EDIT: Working, needed to update GSDX, derr. Yes. IIRC, the GSDX bundled with PCSX2 1.0.0 doesn't support external shaders. I'm uploading the current version of the FX suite, for testing & feedback. All effects have been rewritten, and revised. Plus newly implemented additions & improvements. Options & settings are inside shader.fx, instead of their own separate file, for now. Until I'm finished testing. I'll update the PCSX2Fx OP, with the file, description, screens etc, when I feel I've gotten enough testing and feedback from this. FXAA: slightly improved the quality 4 preset, & pre-luminance calculations. FXAA: removed the debug option, as it should no longer be needed, as the FXAA is completed. It was also interfering with the gamma correction, when enabled. Gamma Correction: Implemented a new gamma correction curve to replace the pow function previously used, which I think yields nicer, more accurate results. Bloom: some small improvements to the bloom blending output. Colour Correction: Also implemented a new curve for the pre tone mapping colour correction. Tonemapping: Improved some colour conversion operations. Tonemapping: Added RGB colour curve options, for Red, Green, and Blue respectively. Contrast: Improved contrast curve type 1. Edit: Re uploaded the archive. Fixed a ninja bug in the texture sharpening, updated the filmic optional tonemapping, and mellowed down the default settings a bit, to make the initial setup a bit more neutral. -Filtering: Updated the bicubic & gaussian texture filtering effects a bit. -Filtering: Added Bilinear filtering to the list of filtering options. -Bicubic Filtering: Added a cubic interpolation type to the interpolation options. Options are now (lightest, to strongest): CatMullRom, Bell, BSpline, Triangular, Cubic. -Sharpening: Updated the texture sharpening, and added a new bicubic based sharpening type for testing. -Colour Grading: changed the RGB grading options' values from float3(r,g,b) to individual options for red, green, blue respectively. A bit more user friendly. -Updated some effect options & descriptions. Scanlines are better. Especially when you've figured out how to make them look the exact same no matter the resolution. However, there are a couple of dark lines per few scanlines (clumps). Please read option descriptions. if you're using a low internal res (IR) (< 3x or so) try setting ScanlineScale to 1.00. This is a work around for the way GSdx handles framebuffer scaling etc. Post processing is handled after scaling is done, so it affects any post effects relying on the input res (scan lines). I would also appreciate it, if you guys can include the GSdx settings you're using, when submitting feedback please. Thanks. I did read. I'm using the scanlines option 3. No matter what I change the scanlinescale to, every 4th scanline is darker than the rest. This is in window mode and in fullscreen. My fullscreen rez is 1080p. The other scanline modes are spaced fine when the screen is at screen resolution. Scanlines 3 however, isn't. You should make the gaussian effect for ppsspp and epsxe. If you can somehow get that gaussian effect on just the textures on epsxe, that'll do wonders for the pixelated text there without blurring the whole scene. Lastly, for all the effects, we need some kind of option that says "if res > 1x, then the value is THIS; if not, then the value is THIS. That way, when we're using the go to software mode on video hack, it won't be super blurred or super fxaa'd because we'd have that covered. #define FilterAmount 1.0	//[0.00 to 1.00] Filtering Strength of the effect. #define FilterAmountNative 0.5	//[0.00 to 1.00] Filtering Strength of the effect in low resolution. #define GaussianSpread 1.00	//[0.50 to 4.00] The spread & offset levels of the filter. #define GaussianSpreadNative 0.50	//[0.50 to 4.00] The spread & offset levels of the filter in low resolution. BTW, is Gaussian blur the same as Bilinear Interpolation? 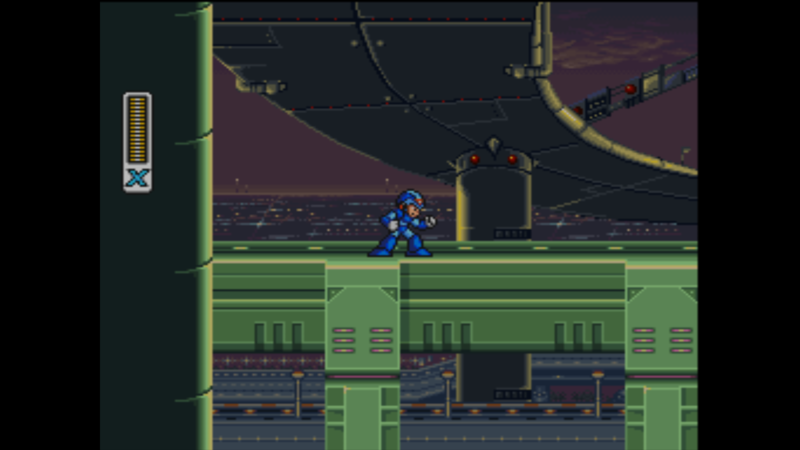 I wonder if it wouldn't be far easier to do the scanlines as an overlay outside of GSdx. Maybe even in the GS window in PCSX2. 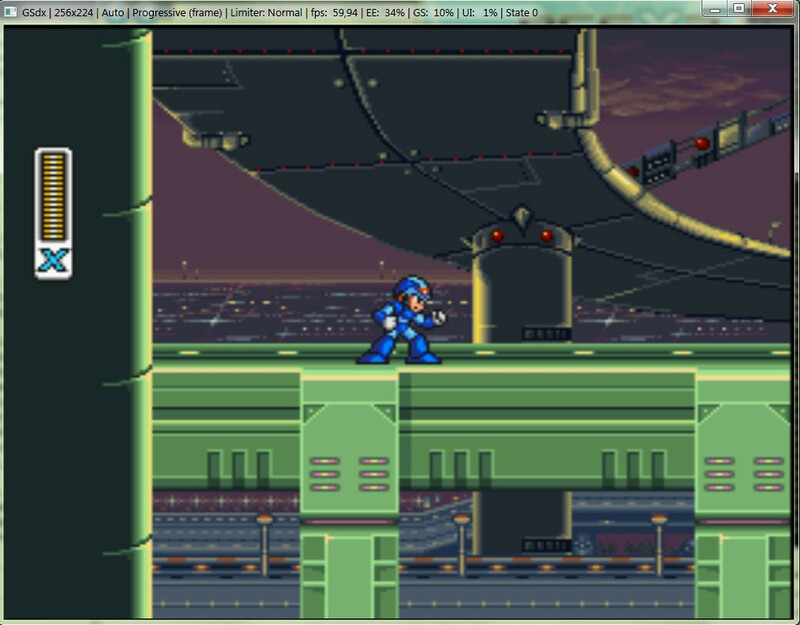 Some effects appear to fail in low resolution games like Mega Man X (only uses 240p in progressive scan). This is just BLENDED_BLOOM enabled but others have this as well. I didn't see this problem in a regular PS2 game. Ah, GSdx's "internal shaders" (activated by F7) aren't affected by scaling!